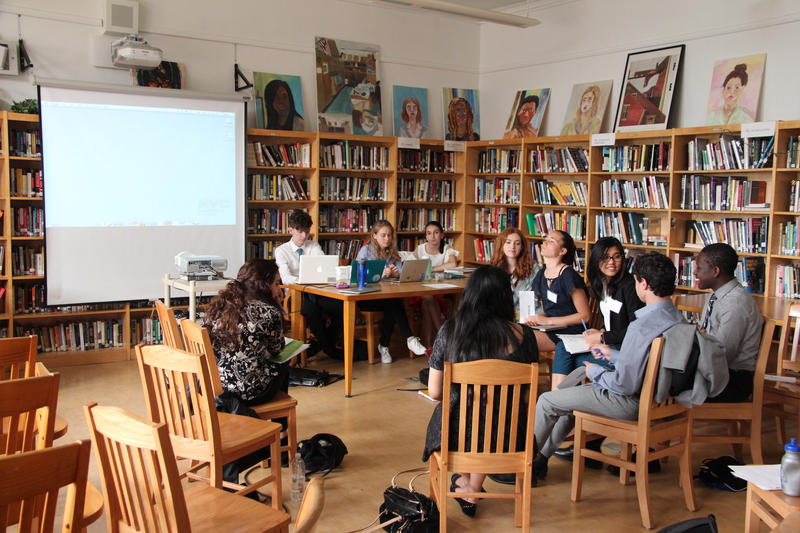 Model United Nations (MUN) is well known in popular culture as an after-school activity for nerdy high school students. Maybe you’ve seen the Parks and Recreation episode in which Leslie hosts a Model UN conference that goes awry thanks to relationship troubles with Ben. The Simpsons also featured an episode where a MUN trip turns into a Lord of the Flies situation. On the big screen, MUN plays a role in Winning London, starring the Olsen twins, although the plot line can be hard to bear. In all these cases, MUN seems like a exclusive club for people who want to take a break from real life and get kick out of arguing over exaggerated international disputes. This picture, while partially true, diminishes the reality of MUN. Delegates dress up in business attire and gather to play the roles of the UN’s representatives from across the globe. They make speeches in the name of foreign and often obscure countries, and, ultimately, they play an elaborate game with few obvious real-world applications. But there’s more to it: putting on this diplomatic mask forces delegates to research and fight for perspectives with which they might not even agree. At one conference, a delegate might represent the Democratic People’s Republic of Korea, and have to defend “Rocket Man’s” stance on human rights. At another the same delegate might represent the United States and have to justify giving childish nicknames to world leaders. And, in the process of standing up for what you don’t believe in, delegates learn the art of persuasion not of a single judge, but of a diverse group of high school students. And, to complicate matters further, along with the challenging task of persuasion, delegates must learn the delicate art of diplomacy. This might seem obvious, as the UN is filled with diplomats, but learning to apply diplomatic communication is a valuable experience. In finding shared opinions and building on existing alliances, MUN is an exercise of a delegate’s people skills. There are many different ways to win in MUN. Some like to befriend all, flattering those who seem intimidating and being kind to those who are timid. Others are more dominant and do not hesitate at the opportunity to betray other delegates. Both approaches can work, and many find a balance between the two. Everyone is able to bring their own characteristics to the negotiating table to try to make themselves the best delegate they can be. Everyone has a chance to succeed. And yet, there’s still more to MUN than diplomacy and people skills. The social aspects of the activity really differentiate MUN from other clubs. Standing up in front of a room of delegates and speaking teaches skills that are important in any future profession. It helps with confidence, public speaking, teamwork. It helps lessen the US-centric views we have been taught, focusing on a global perspective of important issues. As cliche as it sounds, MUN does all of these things. We travel to Philadelphia and Washington, DC as classmates, and leave as friends, with shared experiences that help form lasting bonds. Together, the team learns to tie a tie and goes on to tie the knot of friendship. It is an incredible experience of laughter, anguish, and love that you do not want to miss.